My name is Cynthia Radford, creator and founder of Fine Butters and Scrubs, a home and skin treat company. Fine Butters and Scrubs is a company blessed to me by God, I was never thinking about owning a business. I heard through a sermon one day that God wants to start a business with you, I didn’t think too much about it. I heard the same thing from another pastor, now it peaked my interest. The third time I heard, God wants to start a LLC with you which stopped me in my tracks. He definitely got my attention and I answered. I decided to start a skin treat company because of the frustration of my daughter and son both having eczema. I decided I would make a butter for the body for my 17 year old daughter and my 10 month old son ( another testimony altogether) and it grew from there. I believe in nourishing your skin from the outside in, feed your skin and I wanted to create products that would do just that. The home treat line started out of pure love for all things candles. I love how candles make a house a home, it makes it feel warm and with an amazing scent it can either become your signature scent or remind you of a time with family and friends. It is amazing how food and scents can bring you back to a moment in time. I created the Irma Lee Bakery Candle Collection to pay respect for my grandmother from Mississippi, who passed away, who was an amazing cook. She shared her love through food and from sun up to sun down she stayed in the kitchen baking. I created The William Candle Collection to pay respect to my father who passed away when I was 15 years old. I am a daddy’s girl and it only seem right to give back to my dad’s legacy after he poured love, knowledge and respect into me. My favorite items on the website, finebuttersandscrubs.com, are the body oils, bath milks, body scrubs, Cabernet Sauvignon candle, Ky Bourbon candle, Eggnog candle for the holidays and Lemon Pound Cake Candle. It is so hard to stop with just those because I love them all really. 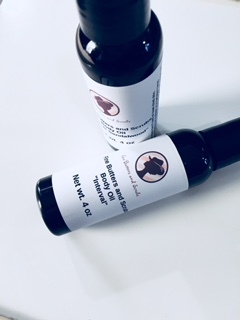 The body oils were specially blended by me with two things in mind, to keep the skin moisturized and to sink into the skin to combat dryness, to keep you from being ashy without having to use anything heavy if you choose not to. It can be used from head to toe which makes it a beautiful addition to your pampering needs. The bath milks are really special because they are made from an oatmeal, whole milk and honey mixture which helps to calm, soothe and soften the skin, another luxury for the skin, it just takes your skincare up a notch. 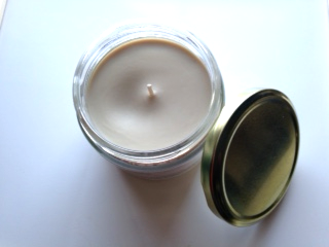 The candles are all made with a soy wax and a cotton wick made to scent your home. I can not stand buying a scented candle that you can not smell, besides light, it really isn’t performing. My word of advice for aspiring entrepreneurs-pray, persist, push through, practice, have patience and never give up. I don’t have everything figured out yet. I really am walking it out everyday. I remember an interview where a musical artist was asked the same question and he stated to get out there and sing. If your gift is to sing, sing. Sing at church, events, birthday parties, shows, clubs, any and everywhere your voice can be heard and as often as you can. That is just what I am doing. Visibility will be your best friend, find a way to connect with your target audience and give them what you came to give them. I can be located at FineButtersandScrubs.com we can connect on the Contact Us page. Social media–Instagram, Periscope and Facebook under Fine Butters and Scrubs, Twitter and Snapchat under FineButtersandS. Our email address is FineButtersandScrubs@yahoo.com. All roads lead back to me and I will answer immediately, we do what we do to serve you and as a testament of God’s blessing and wisdom.